On the 2nd of August 2018, Sellafield Ltd hosted an exciting Engineering Open House Day in association with The IET. The event was designed to encourage young people to develop an interest in STEM subjects and careers. 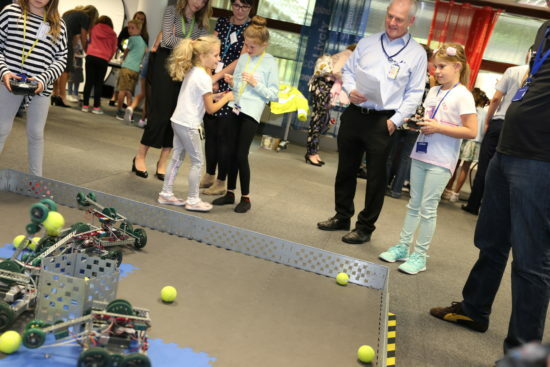 There was a real family feel as Sellafield employees brought their children along to enjoy a selection of STEMsational activities. Who could build the biggest balloon tower, get creative with LEGO Mindstorms kits and battle with All About STEM’s bots? Everybody! 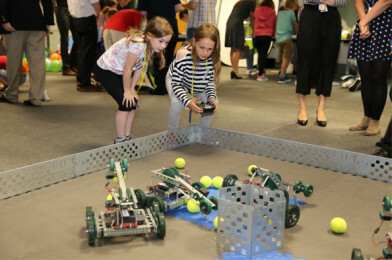 All About STEM were proud to take part – as always, our VEX Robotics arena was a big hit! A fantastic, inspirational day with youngsters engaged and enjoying engineering. Congratulations to Sellafield & The IET! Sellafield Ltd is safely delivering decommissioning of the UK’s nuclear legacy as well as fuel recycling and the management of low, high and intermediate level nuclear waste activities on behalf of the Nuclear Decommissioning Authority.